This magazine is designed for use with the CMMG AR-15 Conversion Kits and will hold 10 rounds of 22 LR. This full-sized design can be used with all your existing pouches and magazines carries for training purposes and includes the bolt-catch follower. This magazine has been specifically manufactured to comply with state and local laws, requiring lower capacity mags. 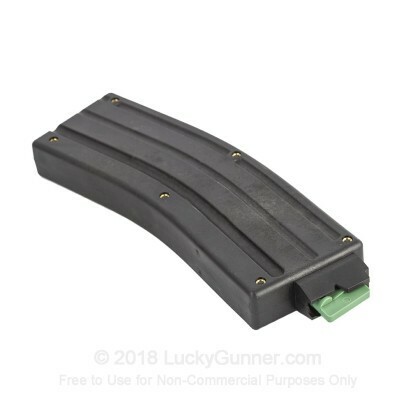 Q: Is there a speed loader for this mag? A: Hello Joseph, Unfortunately, there isn't a magazine speed loader for these CMMG .22 LR magazines for their .22 LR AR conversion kits. These magazines are easy to load though and work great in a .22 LR conversion AR platformed rifle.